I wish we were reacquainting under better circumstances dear reader, but I'm back with an important PSA. To call Hide the worst restaurant I've been to in a long time is an overly generous assessment of this temple to disappointment. What happened to Ollie’s cooking? It was elegant and light and flavour-forward, but no longer. It’s been replaced by a safe, corporate vision and a production line approach of largely quick-to serve-dishes, necessitated (I guess) by the vast number of covers in this expensive corner of Mayfair. In the move from Fitzrovia, the kitchen left behind all traces of flavour. 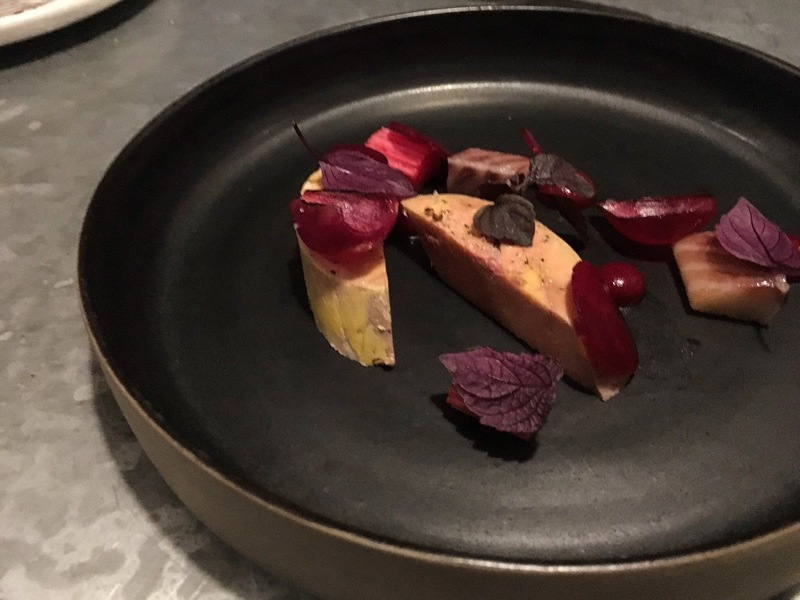 I’ve never encountered inedible dishes in a £100-plus tasting menu. Hide gave us two: suspiciously mushy blue fin tuna and a king crab devoid of all flavour and texture. Elsewhere the famous Dabbous coddled egg has been revamped for the worse and the great bread has morphed into a tasteless variety basket. We were trapped in this tasting menu mediocrity and only marginally comforted by modest markups on the expansive wine list. I suspect the professional pundits will praise it and Michelin will anoint it with a star (for the staircase alone), but Hide is no Dabbous. That place (RIP) was a breath of fresh air when it opened 5 years ago, but Hide just leaves you gasping to get out. 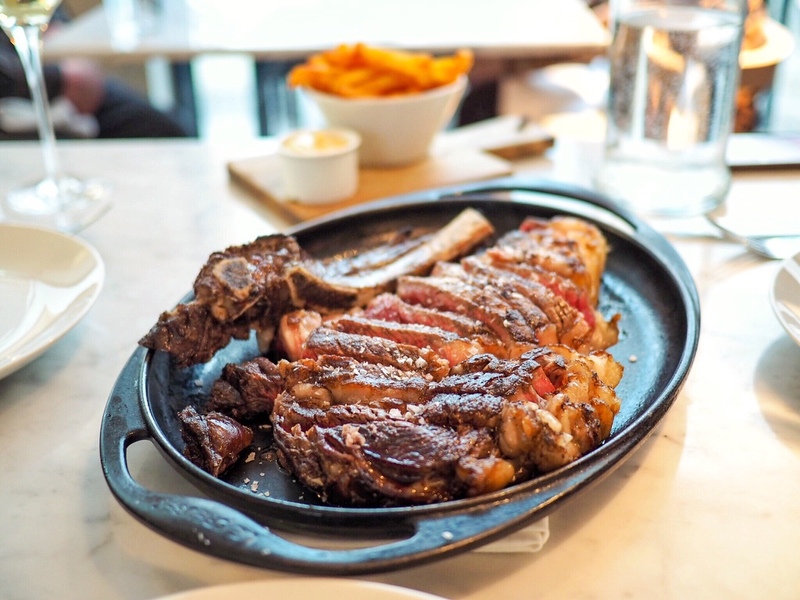 The Sportsman is one of those seemingly mythic restaurants existing beyond Zone 2 that always seemed unreachable to this non-car owning city slicker. Yes I know there are trains but really, who would entrust their punctuality, or anything else for that matter, to SouthEastern Trains? The four hour lunchtime tasting menu at The Sportsman kicks off at midday and I'd prefer not to have to leave home at 6am to reach Whitstable in time thanks very much. So we bit the bullet, hired a car, organised a shady mid-week hookie day from work, et voila, found ourselves in Kent on a frosty mid December day. For some reason, I had thought the focus of the meal would be solely on seafood given the proximity to the coast, but I was wrong. The seafood courses were my favourites, but vegetable-only and meat-based dishes held their own. There was very little to fault in the meal and with the relaxed and friendly service, I'd even brave SouthEastern to get another taste of the terrific brill braised in vin jaune sauce. Little here is original. I'm afraid that when I visited Kanazawa in March 2015, the internet lacked much in the way of help for the non-Japanese tourist wanting to visit the area. I think that was partly because travel connections to Kanazawa from the east coast weren't that user friendly until the opening of the high speed line just a few weeks before my trip. The train from Tokyo now takes as little as 2.5 hours, although I would suggest breaking the journey in Nagano to visit the terrific temple precinct and to drop in on the Snow Monkeys (oh and also check out the brilliant oyaki purveyors in the train station). Without many blog posts to rely on, I planned my eating in Kanazawa with the help of an article I found penned by Adam Liaw, the Aussie Masterchef winner with personal links to the area. Kanazawa was a refreshing break from the bigger and more well trodden cities like Tokyo and Kyoto. We enjoyed world class sushi, an intimate kaiseki meal, plenty of noodles, more wagashi breaks than you could hope for and it was topped off with gold leaf covered soft serve ice cream. With top quality food, as well as a number of interesting districts to visit, Kanazawa warrants a good three days to appreciate. Texas is all big hair, shoulder pads and bitchy pool-side cat fights, right? No? What about oil money, the Bush family and crazy cults? Wide of the mark again? Well, if your perception of the Lone Star State is all (bad) 80s TV references and the less salubrious side of life, then you should head to Austin. You may still see some big hair and probably a cat fight or two (it is a university town after all), but Austin is a great spot to spend a few days particularly if you want to eat well. I enjoyed a long weekend there in mid September when the weather was just a few degrees cooler than Hades, so pack your sunscreen and let’s talk where to eat. I won something! Seriously, I never win anything. My mum is the lucky one in the family. Every Christmas, she'll win the ham and most likely something else. It's uncanny. Me though, always diddly squat. But the stars must have aligned before Christmas because I won a Seafood Masterclass from the lovely people at Bonnie Gull in Exmouth Market via a Twitter competition. Colour me amazed and excited! I'm a pretty good cook (he says modestly), but seafood is an area that I don't tend to dabble in at home since it can be a bit daunting. No one wants to eat overcooked fish. Knowledge begets confidence though, so being given the chance to learn some tips from the professionals was keenly appreciated. Along with a three course lunch with matched wine plus a cocktail, the afternoon was hugely enjoyable. Granted it was a freebie, but I would definitely shell out the very reasonable £80 for this experience.